Converting images to PDFs on Windows 10 machines couldn’t be easier, and the best part is you don’t have to download any additional software or rely on resource-hogging programs like Adobe Reader This Is Why You Don't Need Adobe Reader This Is Why You Don't Need Adobe Reader Adobe Reader is bloated, slow, and a liability. In short, it's unnecessary. Do you need a PDF Reader at all? 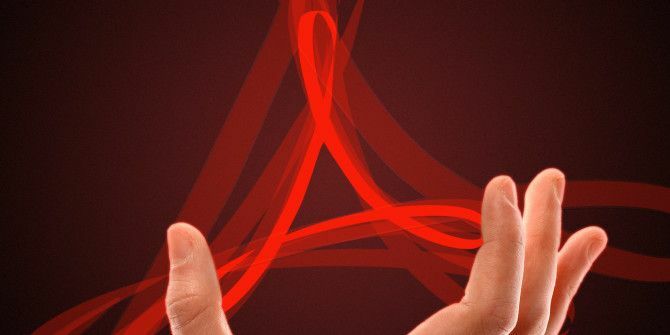 We show you how to open PDF files without Adobe Reader. Read More . Once the image has opened up in Photos, click the menu button (three dots) and click on Print. This will open up another dialog box where you can select the printer from a drop down menu. Select Microsoft Print to PDF and click the Print button. Another dialog box will pop up where you can enter the file name and select the file location and click Save. This method should work with any image file you can open with the Photos app: JPG, PNG, TIFF, etc. What’s your preferred method to convert images to PDFs? Let us know in the comments. Explore more about: File Conversion, Windows 10, Windows Tricks. The "Print to PDF" function works from within ANY program that has a print button, including whatever your preferred photo viewer is. With Win10, you no longer need a PDF plug-in, like Cute PDF. This article is VERY MISLEADING. The print to PDF function even works from within a web browser, so you can print to PDF from Google Photos, Paint.net, irfanview, etc. This article should really be titled "Convert ANYTHING to a PDF Using the MS Print to PDF Feature."